All I did was capture the return to Bonneville. 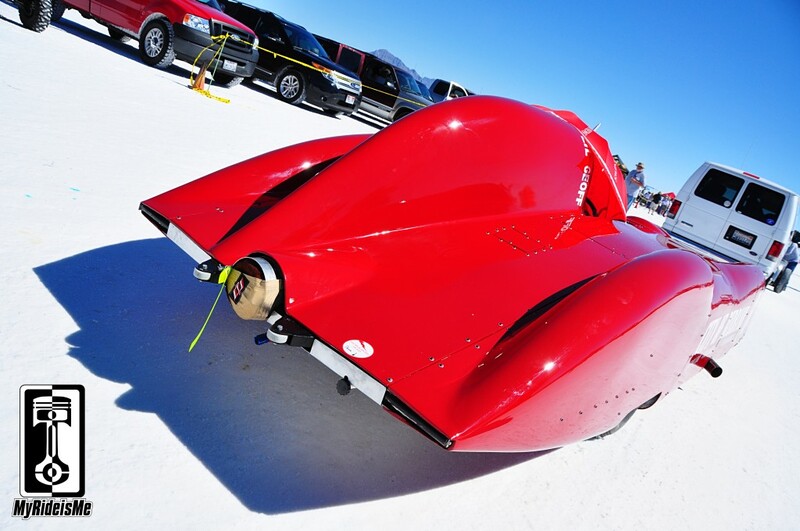 Dave Thomas, owner of this beautiful recreation of a circa 1952 land speed record holding streamliner. 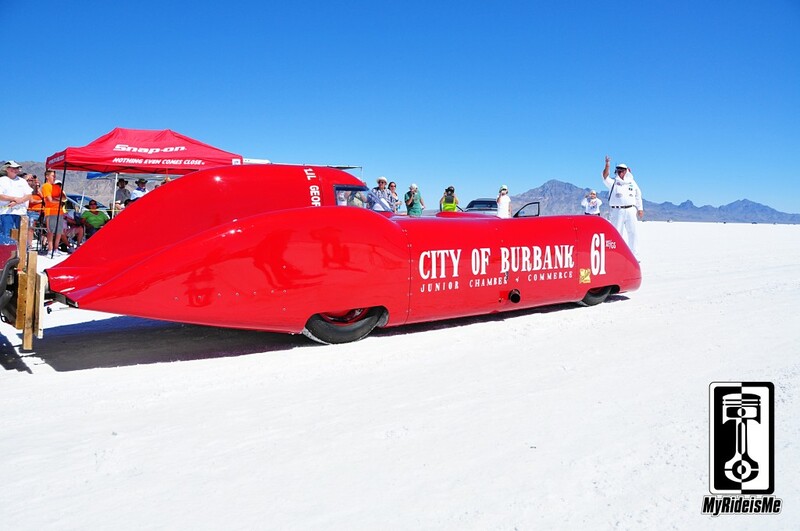 The sleek fiberglass beauty has been known by a few names, but finished here, it’s the “City of Burbank” #61 XF/GS streamliner. 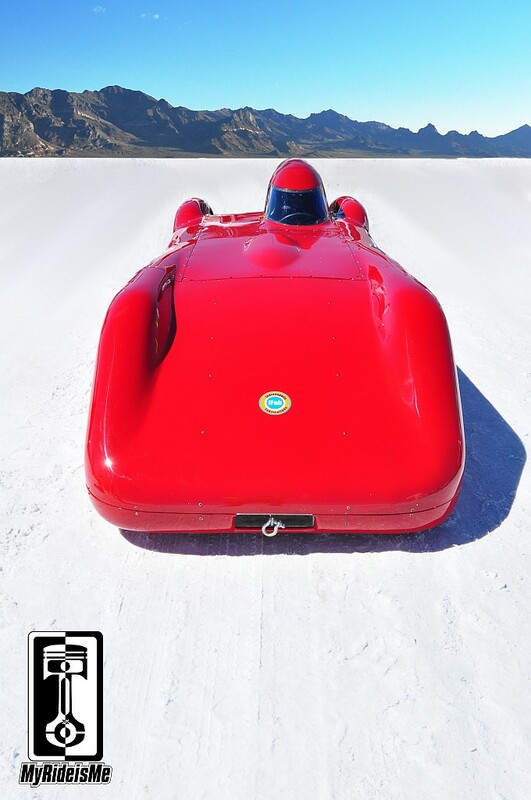 There are a few great places to see more and learn more about this brought back to life piece of land speed racing history. 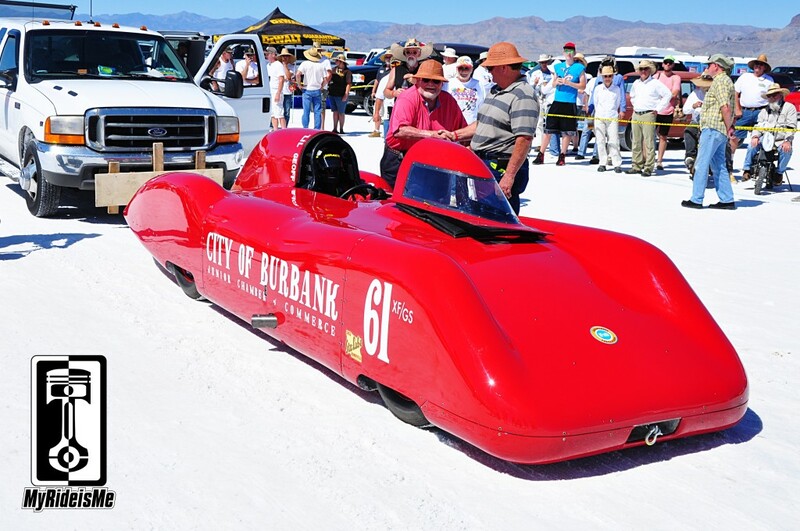 The first is Dave’s City of Burbank Streamliner page where the last couple years of the build are documented, but Dave reminds me, the build took about 7 years! Am I missing anything? OH YEA! 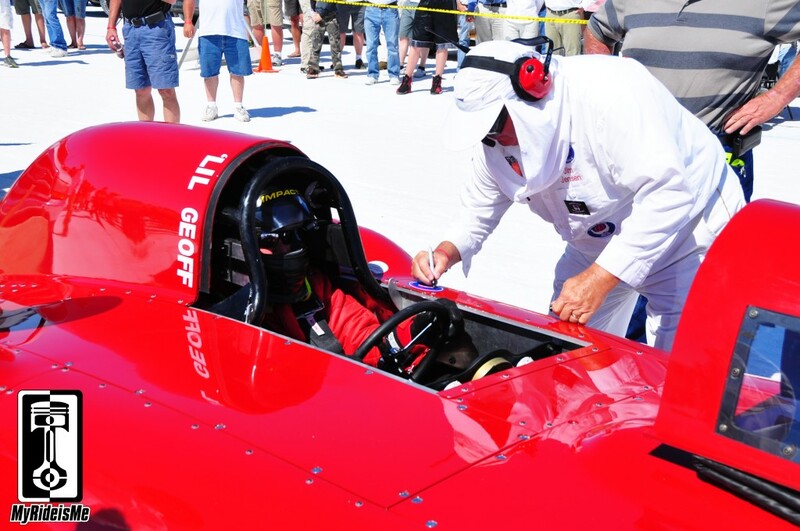 More pictures from the 2013 Bonneville Salt Flats shown here… Next year, watch for a feature story when this slick streamliner is featured as one of Bonneville’s Baddest Race Cars! 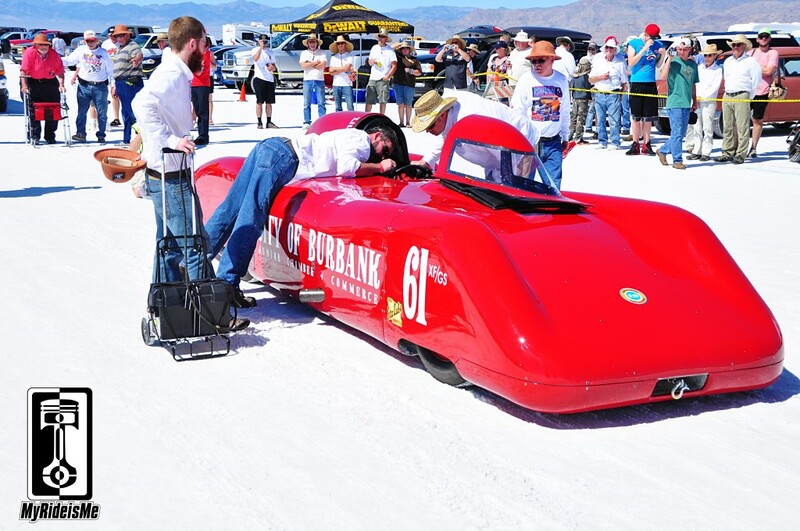 If you can’t get enough of Land Speed Racing, Check out the 90+ stories from Bonneville.